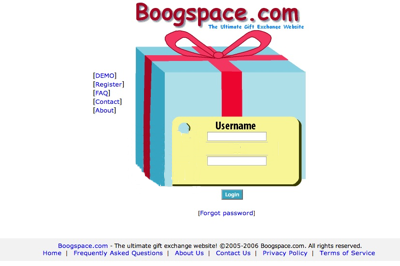 Boogspace was built in 2001 to accommodate our family's Secret Santa gift exchange. 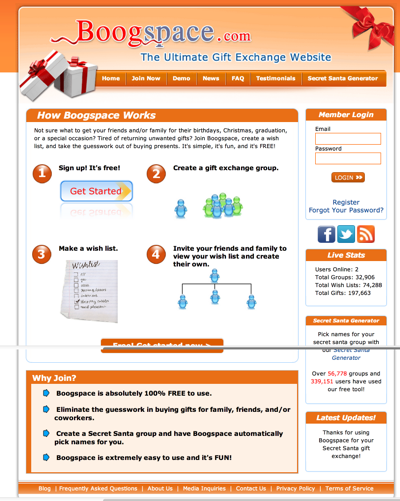 After one of our cousins received a pair of silk boxers and a fly swatter from his Secret Santa, we decided that enough was enough; let's create a website and post gift ideas online. 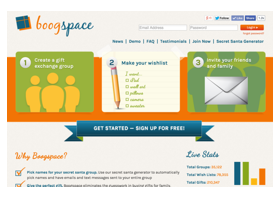 Boogspace has been such a hit with my family that we decided to open it up for the rest of the world to enjoy. Feel free to use it amongst your own family, friends, and coworkers. Our goal is to eliminate all of the fruit cakes and Chia Pets disguised as Christmas presents. Enjoy the site!